I had a seafood Xmas this year and I didn’t miss the turkey at all. The warm weather combined with the fact that my Xmas was spread over two separate days to include my son and his girlfriend who were overseas on the actual day, meant that something quick and easy was required. To be honest, I’m not a huge fan of turkey anyway finding it to be a rather tasteless meat even when properly cooked and on a hot day the thought of a big roast meal was not all that enticing. Without the turkey, Xmas was a much less stressful event this year for all concerned. We had the seafood along with some salads, cold meats, dips, cheeses, fruit and and an excellent pear and chocolate panettone (supplied by my daughter). There was really nothing more we needed When it comes to fresh seafood I think it is important to keep it simple. I had some lovely prawns (shells on) from the Footscray Market and I thought I would go a bit ‘retro’ with garlic prawns. This is a very easy meal best served as soon as it is cooked. Shell the prawns removing the head and the intestinal tube but leaving the tails on. Set aside. In a large heavy based pan gently heat the oil and butter until the butter is foaming. Reduce the heat and add the chopped garlic. Allow the garlic to gently infuse in the oil and butter without burning. When the garlic is cooked (3 – 5 mins) turn up the heat and add the prawns, cook until translucent and slightly browned, don’t overcook. Season and add the chopped parsley, toss and turn off the heat. 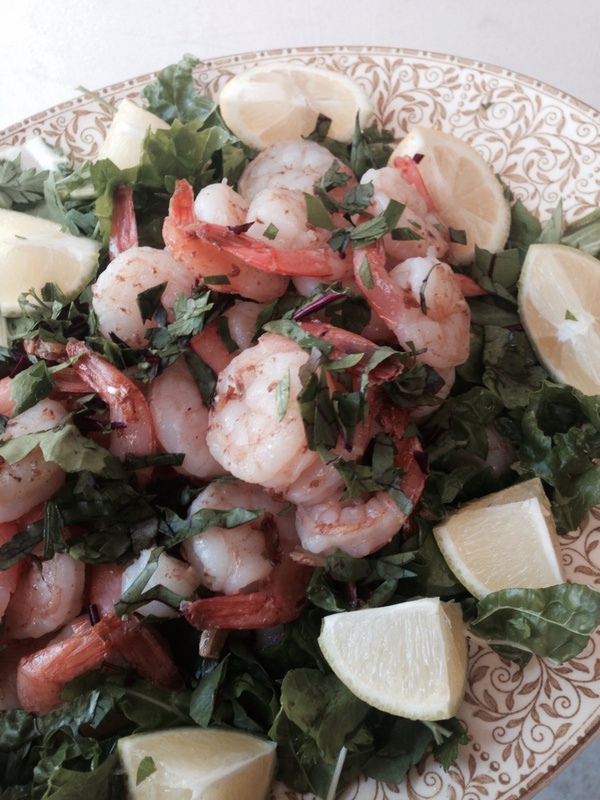 Serve on a platter with salad greens and lemon wedges. See ‘Living in the 70s or the Theory of Eternal Recurrence’ in March 2011 for more retro recipes. భల ..న క బ ర క ఫ స ట జ వన మరణ సమస య అయ ప య ద డ అమ మ దగ గర న చ బయటక చ చ నప పట న డ . న క REC Warangal ల ఉన నప ప డ ల చ , డ న నర బ న ప ట ట వ ళ ళ క న , బ ర క ఫ స ట చ ప స వ ళ ళ వ ధవల . వ ర ల న ల గ ర జ ల , బ ర డ జ బట టర ప ట ట వ ళ ళ .న క పరమ ఎలర జ అవ ట . ద త న కడ ప ఎ డ ప య ద , almost శ ష వచ చ పడ ప య వ ణ ణ ల చ వరక ఆగల క. ఇక కడ క చ చ న తరవ త మర నరక అయ ప య ద ప ర ద ద న న, క ఫ (అద కష య ) న ళ ళత కడ ప న ప క ట ట ఎవర పర చయ చ స ర Oat Meal న .It’s my saviuor now.